Do you suspect you are suffering from low testosterone? Maybe you have been told you should consider low testosterone treatment, and you are looking for more information. Here are the top 13 facts about low testosterone treatment that you never thought to ask, maybe even your doctor never thought to ask…. Low Testosterone Treatment: What your Doctor Won’t Tell You. Not everything your man does can be attributed to this hormone. If your man has a penchant for yelling and insulting other drivers in traffic, testosterone isn’t necessarily the cause. Women secrete testosterone hormones from the adrenal glands and ovaries to serve a key ovarian function. This hormone, besides being responsible for regular ovulation, also elevates moods, improves bone strength. Too much production of testosterone causes women to experience irregular periods, rapid weight gain and acne. For men, excessive testosterone in the bloodstream causes long term problems such as liver diseases, male-pattern baldness, and acne. Production of cancerous cells in the prostate, for instance, is the fueled by testosterone. Note that optimal levels of testosterone hormones vary widely from man to man and a woman to another. Research by Boston University school of medicine indicates that over 4 million men in the U.S suffer from the effects of low levels of testosterone. Without a low testosterone treatment, many of them show signs of ‘andropause’ (male menopause). In 2009, a federally funded study revealed the high rate of men suffering cardiac implications as a result of improper use of testosterone gel. These treatments are safe and effective when complemented with exercise and physical activities that utilize testosterone. Did you know that the levels of men’s testosterone levels rise and fall periodically throughout the month, just like the female hormones? It is scientifically proven that hormone levels can deviate within seasons, days, and even hours. In many cases, low levels of testosterone inhibit a woman’s ability to lose weight, a situation that can be rectified with a low testosterone treatment. If you notice that you have your legs and armpits less frequently while losing hair on your head or noticing split ends and poor hair health, it may be a sign that you need to consider low testosterone treatment. After menopause, some women may have even higher levels of testosterone than men of the same age. Doctors recommend that women begin monitoring their levels of testosterone as early as possible to anticipate its effects on their bodies. If you are experiencing problems managing your pain response for instance; period pains or you’re suffering from ‘cognitive fatigue, low testosterone treatment may be all you need. 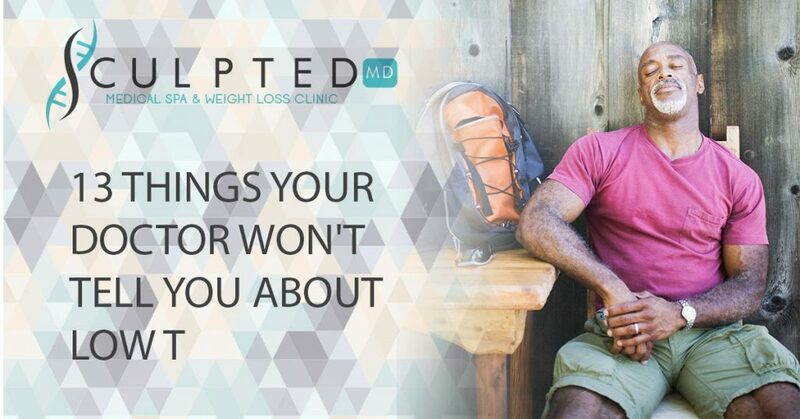 If you still have questions about how low testosterone therapy, call our offices and make an appointment to meet with our talented medical staff at one of our convenient Denver locations. Call today for an appointment (720)325-5577.